One of the biggest debates going on in the mobile communications market today revolves around the competition between Apple’s iOS operating system found on the iPhone and Google’s Android operating system. While this particular debate is one with seemingly no end, a new one is now taking shape between specific phones – the iPhone5 and Samsung Galaxy SIII – instead of just the operating systems themselves. It’s interesting to note that five years ago, upon Android’s initial launch, many would have scoffed at the idea of a single Android smartphone rivaling Apple’s juggernaut. 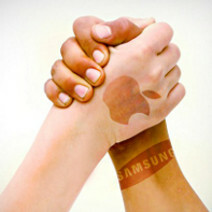 However, with global sales of the Galaxy SIII surpassing those of the iPhone5 in the third quarter (18 million to 16 million) it can now be said that Apple has a challenger in Samsung’s flagship device and with impressive Windows 8 phones currently being released, the market will only become even more competitive. Let’s pretend for a minute you have never seen an iPhone or Galaxy SIII and you wanted to get a sense of the main strengths and weaknesses of the two handsets. Would you be more interested in the differences of the two operating systems? Or would you lean more weight to the differences in hardware? Let’s take a look at both. The iOS electronic ecosystem is truly a thing of marvel. Its ease of use and seamless integration among different types of devices (iPhones, iPods, iPads) has allowed it to dominate the market for years, and iOS 6 is no different. It includes all the bells and whistles of previous iOS generations in addition to updates to Apple’s revolutionary voice-command assistant Siri and new integration with Facebook and Twitter. Siri is indeed one of the distinguishing factors between the iPhone 5 and Galaxy SIII as it tends to perform much better than Samsung’s similar Android application, S Voice, in head-to-head competition. With the release of iOS 6 also came the dawn of Apple’s new Maps software which provides neat features such as 3-D flyovers, turn-by-turn navigation, and excellent integration with the Siri. However, it still is a bit wet behind the ears and tends to fall short of Android’s Google Maps found on the Galaxy SIII in terms of accuracy, detail, and overall ease-of-use. In terms of speed, both devices are up to the task. Both the iPhone 5 and Galaxy SIII pack powerful dual-core processors that rival those found in computers. Without boring you with all the details, it’s safe to say that both phones handle heavy use and multitasking with ease, with the iPhone 5 feeling just ever so slightly smoother during regular operation. Of course, this is not to mention the download speed that comes with both devices on Verizon’s 4G LTE network, which has finally been introduced to the iPhone after being found on the previous two iterations of Samsung’s Galaxy line of smartphones. Without a doubt, LTE is absolutely a game-changer in terms of unleashing a phone to its full potential – allowing you to upload high-resolution photos, videos, and other files to sites such as Facebook, Twitter, and Dropbox (or iCloud if you’re on the iPhone 5) in an instant. This was a feature sorely-lacking on previous iPhones and brings it on par with the Galaxy SIII for data. No iPhone vs. Galaxy SIII review could be complete without comparing what is probably the most noticeable difference between the two devices – screen size. The SIII comes in at a sizeable 4.8” compared to the iPhone 5’s 4.0” and while 4.8” may sound large in comparison, with nearly no bezel, the SIII still fits well in the palm. Most are drawn to phones with larger displays to watch videos, display photos, and edit documents- so naturally the SIII would be the choice of those who prefer such a display. However, Apple has listened to many critics who said previous models were behind the times in screen size and has expanded the display nearly 10% from the iPhone 4s. There is no debating the fact these two phones both pack a ton of features sure to satisfy the most discerning customer. Choosing between the two just comes down to preference. Do you prefer the ease of use of the iOS operating sytem? Or do you prefer the customization and layout of Android? Do you like a larger display excellent for watching videos or browsing the web? Or do you prefer a slimmer design that feels more compact in the hand? You can’t go wrong either way.